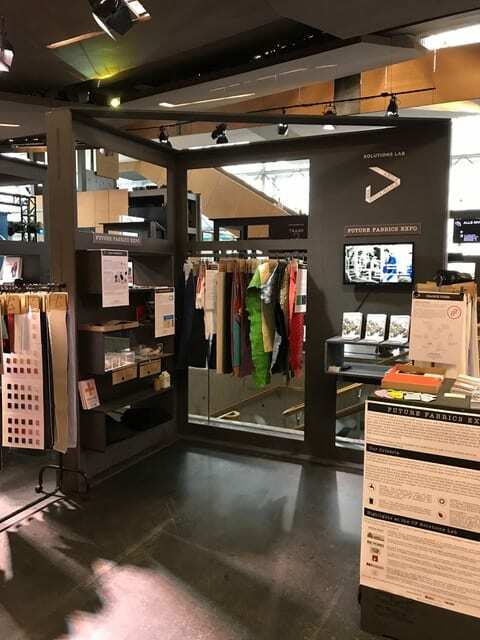 The Sustainable Angle travelled to Copenhagen showing a selection of fashion materials from the Future Fabrics Expo in the Solutions Lab of the Copenhagen Fashion Summit. At the summit many cited Orange Fibre, which was showcased on our stand, as a great innovation. 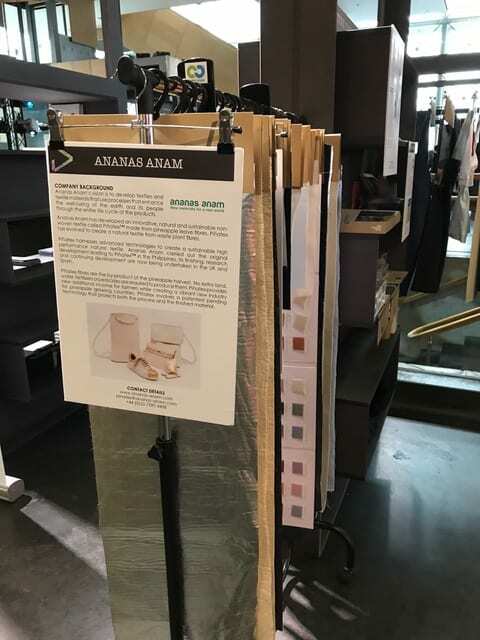 We also displayed many Cradle to Cradle certified materials which tied in nicely with the keynote speech of the Cradle to Cradle founder William McDonough. It was an impressive line up of speakers, thought leaders, pioneers and visionaries from the fashion industry and beyond, presenting their ideas and insights as to how to reduce the fashion industry’s heavy environmental footprint and making it a more responsible and fairer industry by embracing a circular approach. A significant outcome of the 2017 Copenhagen Fashion Summit was the launch of the Call to Action for a Circular Fashion System, which was signed by some of the world’s leading and biggest companies. Signatories of the Call to Action commit to defining a circular strategy, to setting targets for 2020 and to reporting on the progress of implementing the commitment. Of great interest is the report written by the Global Fashion Agenda, organizer of the summit, together with The Boston Consulting group: Pulse of the fashion industry which sets out ‘a vision of a better fashion industry’. In summary, what needs to happen next is investing in designs and strategies to extend the life span of clothing, minimize the environmental footprint of production at the design stage by taking into account the end of life of a product at the outset, (eg for it not to end in landfill but rather become the material for the next product without losing value). Investment needs to go into innovations for materials that are clean, renewable, non-toxic, not to the detriment of human’s health nor the planet’s. Quite simply, in the words of Ellen MacArthur, we need to move away from the linear system based on using finite resources creating waste and therefore losing value. What is needed is a system change, to move away from a linear system to a circular system that is restorative and regenerative.